A new venture capital firm co-led by former CMS Administrator Andy Slavitt will seek to invest in healthcare technology and service companies that deliver innovative care to low-income, high-needs populations. Town Hall Ventures will focus on building companies that provide higher-quality and lower-cost care for poor, underserved communities, particularly involving Medicare, Medicaid, risk-based care, complex care and the social determinants of health. Its leaders see a big opportunity to improve care for the 120 million people in Medicare and Medicaid through innovations such as better models for delivering care at home or in other comfortable and low-cost settings. 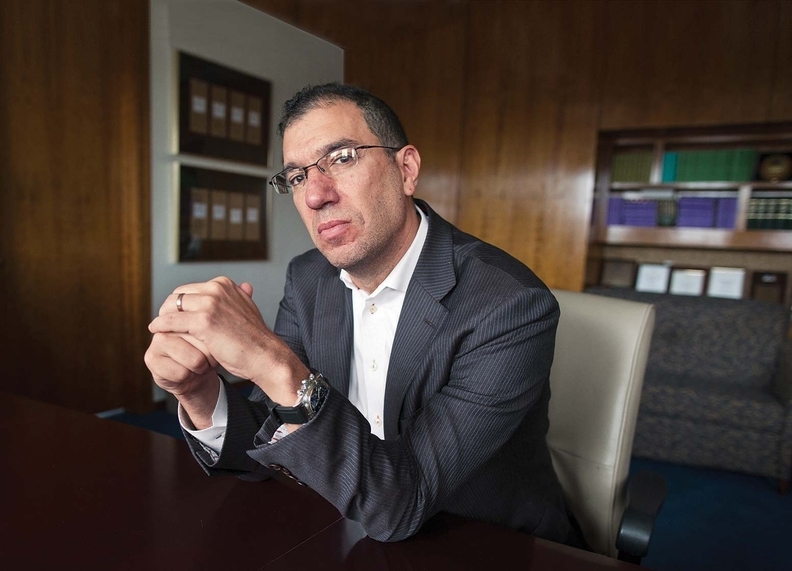 "We are completely underinvested in primary care, mental health, care for pregnant moms, the frail elderly and people with chronic conditions, particularly people of color," Slavitt said. "There are mission-driven entrepreneurs out there aiming to address these challenges, but investors tend not to see them. Instead, they tend to see bright shiny objects like wearable devices." Town Hall's investments include Cityblock Health, a primary-care and behavioral health provider for the elderly and disabled; Somatus, a patient-centered kidney-care provider; WelbeHealth, which serves frail seniors who qualify for the Program of All-Inclusive Care for the Elderly; and Aetion, an analytics firm that facilitates value-based care in pharmaceutical treatment. Slavitt sees lots of opportunities for Town Hall's portfolio companies to partner with Medicare and Medicaid plans, hospitals, multispecialty clinics and post-acute providers. The formation of Town Hall Ventures follows a number of other new private-sector initiatives to transform U.S. healthcare, including a partnership between Amazon, JPMorgan Chase and Warren Buffett's Berkshire Hathaway to reduce employer healthcare costs. Town Hall will be led by Slavitt, who recently founded a not-for-profit, bipartisan, health policy solutions group called United States of Care; Trevor Price, founder of the executive search and investment firm Oxeon Holdings; and David Whelan, a former executive at Oxeon Ventures and the investment firm Accretive. At Oxeon, Price helped create the leadership teams for a number of Medicare and Medicaid companies including Evolent Health, Landmark Health, Oak Street Health, Aspire Health and Bright Health. Town Hall wouldn't disclose the size of its investment fund or the names of its limited partners. It will invest $1 million to $5 million in individual companies but won't lead financing rounds. "Our financial investment won't be what makes the difference," Slavitt said. "It's our investment and the ability of many others to move capital. We hope to be a small but important part of this equation." In addition to investing, Town Hall plans to offer a network of mentors, experts and community leaders to support the entrepreneurs in its portfolio companies as they work to transform care in communities across the country. "We see a lot of passion from entrepreneurs solving problems in healthcare," Whelan said. "We bring a toolkit to help bring them there faster and execute their business plan." Iyah Romm, CEO of New York-based Cityblock Health, said Town Hall already has helped his company roll out services in its first community by offering help from experts in healthcare regulation, management, fundraising and technology.